I’ve been swimming through my polishes lately (how’s that visual for you?) & looking for new holiday-esque shades that have gone unloved or even untried. 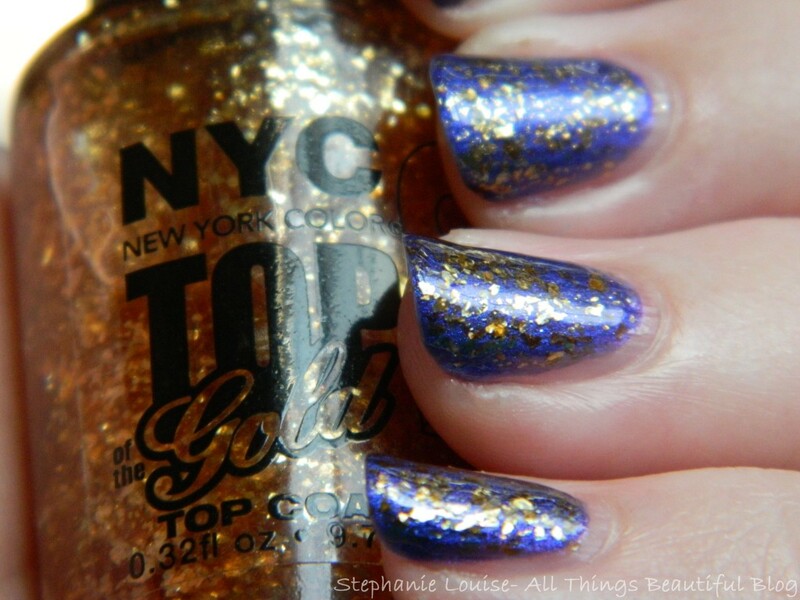 This is how I happened upon NYC Top of the Gold which is labeled as a Top Coat. Keep reading to see if you’ll fall in love! NYC Top of the Gold Top Coat- A gold cellophane top coat. About 2 thin coats. Seen here over the Poshinality Nail Polish in Dramatic. 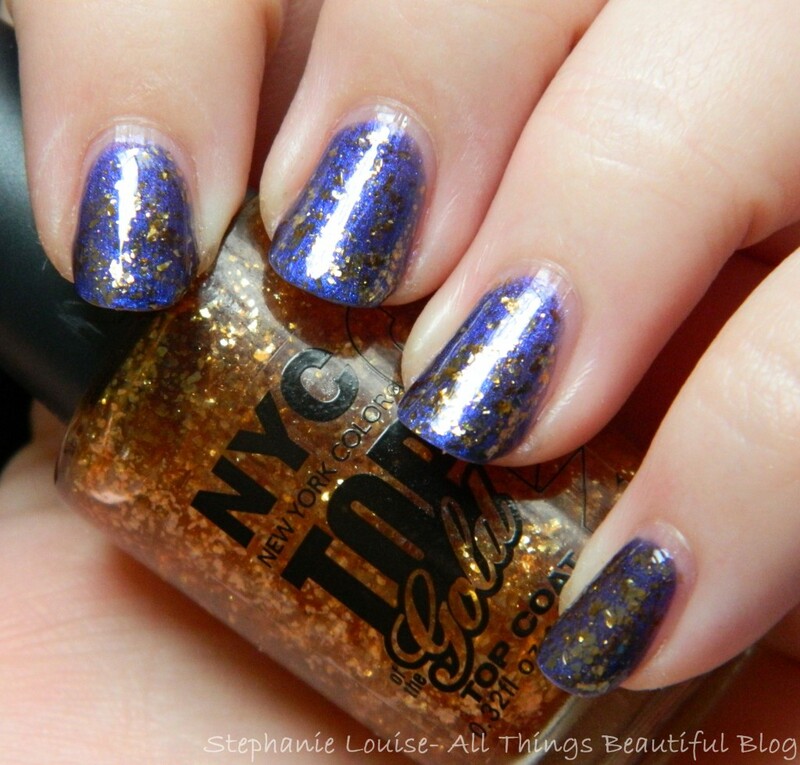 First off- there’s no denying the similarities between NYC Top of the Gold & Zoya Maria Luisa which I reviewed here from Fall 2013. In fact, they’re darn near identical on the nail. For around $1.99 I think this is a steal from your local drugstore! I really love the Zoya Maria Luisa because it is unlike any other gold glitter- & this is pretty much a dupe! 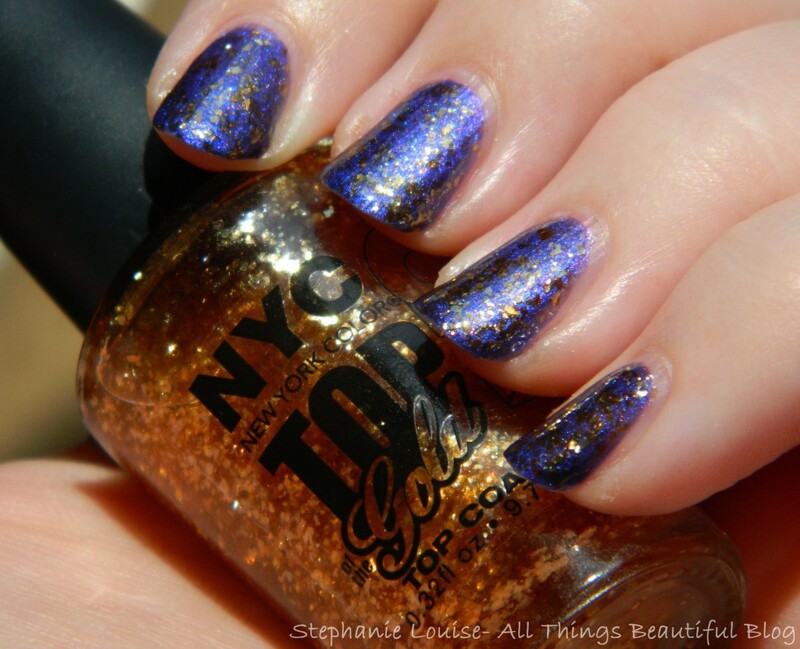 You can pick up NYC Top of the Gold Top Coats from CVS & I imagine other retailers of NYC products for $1.99. Have you spotted this pretty? Any other NYC polishes I should check out? What is your favorite golden topper?